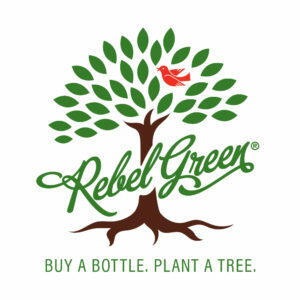 Rebel Green Fights Poverty by Planting Trees - Rebel Green: Eco-Friendly Products Responsibly Made in the U.S.A. Trees are living superheroes. They turn carbon dioxide into oxygen, help combat climate change, and serve as thriving habitats for biodiversity. Recognizing the vital importance of trees, Rebel Green has come up with an ingenious way for its natural cleaning products to plant thousands of trees and help put an end to extreme poverty all around the world. Buy a bottle. Plant a tree. 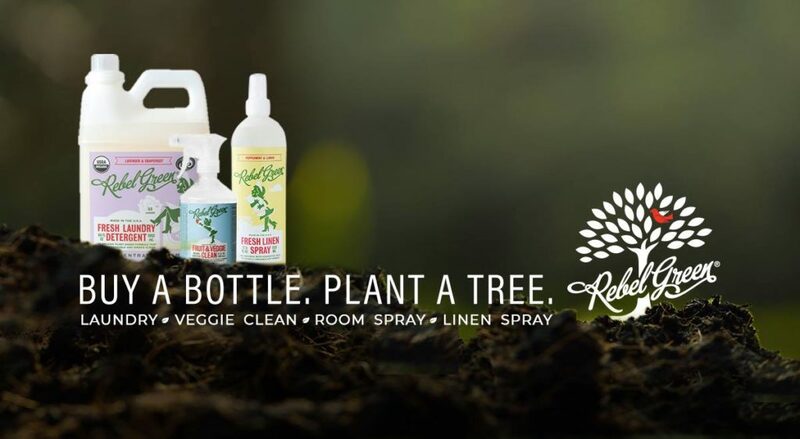 Rebel Green has pledged to plant a tree every time a consumer purchases a bottle of Rebel Green Fresh Laundry Detergent, Fruit & Veggie Clean, Fresh Room Spray or Fresh Linen Spray. How? 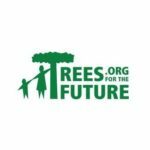 For each bottle of natural cleaning product sold, Rebel Green will donate 10 cents to Trees for the Future, an international development nonprofit organization that has planted over 150 million trees in dozens of countries since 1989. Decreased living expenses. Farmers have to spend less on food, manure, fuelwood, animal forage, fertilizer and lumber purchased. Less migration. Farmers are incentivized to stay on their farms rather than migrate to urban areas where they might make more money. Improved health. Farmers are better able to feed themselves and meet their family’s nutritional needs, resulting in a decrease in health care costs. Educational access. Better financial standing and resiliency increases a family’s ability to invest in their children’s education. Economic independence. A greater and steadier income makes it possible to invest and add value to the land while saving for emergencies and retirement. Buy a bottle. Plant a tree. Change lives forever. It’s that simple. Rebel Green cleaning products are available for purchase on Amazon.com, Target.com, LuckyVitamin.com, and in select retailers nationwide. For more information on Rebel Green and the social causes it supports, click here. Rebel Green is a line of natural cleaning products that is dedicated to providing customers a safer choice both inside the home and in the environment. Motivated by the knowledge that the products we choose to clean our homes have a ripple effect on the world, Rebel Green is committed to creating a product line that’s sustainable, natural and crafted with concern for the planet on the frontline. Founded by Ali Florsheim and Melina Marcus in 2008, Rebel Green is a certified Women–Owned Small Business headquartered in Milwaukee, WI. For more information, visit www.RebelGreen.com.